Customer Discovery: Finding your initial set of customers. Customer Selection: Getting picky about whom you serve. Customer Involvement: Making them feel a part of your mission. Customer Allegiance: Fostering loyalty and even advocacy. Customer Checkup: Making sure that your plan doesn’t atrophy. No milestone is more important to your business than finding the first person who will actually pay you. Payment comes in many forms, but let’s talk about the most important form – actual money. You can gather “eyeballs” as much as you want, but at some point, you have to start getting paid. The pace of this is different in every business, but the end goal is always the same. People who pay you directly: Consumers, clients, subscribers, users, community. People who invest in you: VCs, Angel investors, patrons. The difference between a small business and an entrepreneurial business lies entirely in growth rate. An entrepreneurial business requires rapid growth, and often needs a jolt of early capital to make a run at it. Think of how that might change your content strategy if an investor is your first customer. The story you tell is different than what you’d tell your consumer customers, right? A small business is often built for incremental growth, provided it can get to a threshold of sustainability. 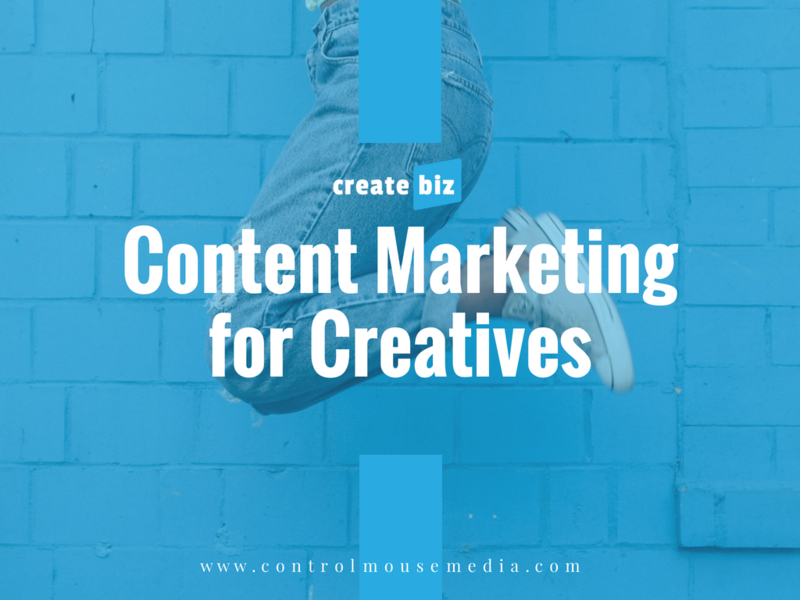 So your content strategy might be designed around getting some early adopters on board so you can start earning revenue, and then inspiring and empowering them to advocate for you – to create new customers for you. 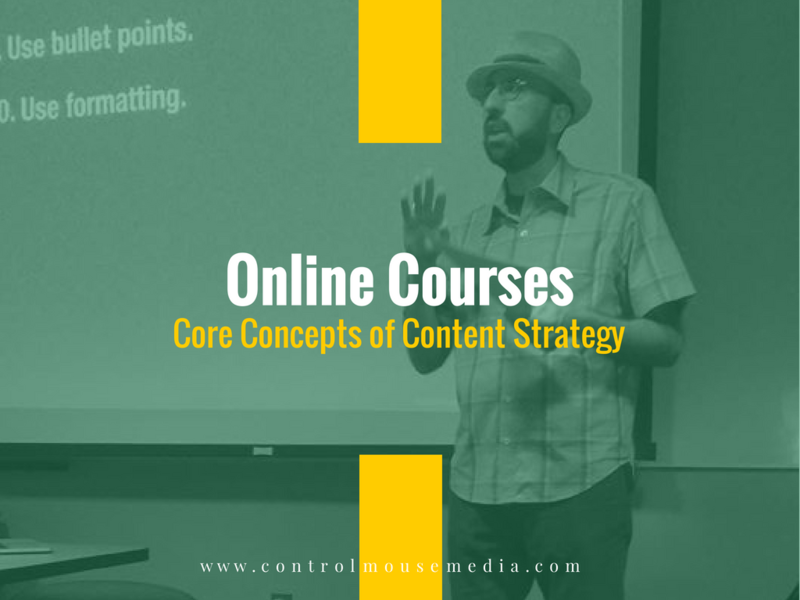 In each case, the content – and the strategy around it – should match your specific goals. That means getting really clear about whom you are trying to serve and making your content work towards the singular goal of earning your first customer. Once you’ve got customers, now it’s time to get picky. Not all customers are created equal. There are some that your business can’t live without, and there are others who are more trouble than they’re worth. At this stage, we want to select the right customers to serve. I use the word “select” with intent. In the early days of your business, you may feel like getting any customer is the goal. Maybe so. But ultimately, you need the right customers. And you want to work towards having the choice be up to you – not the customer. The framing mechanism that I always use is to think of it as a hiring decision. After all, it’s just as important. When candidates come to you looking for a job, what are your criteria for making a decision? Apply the same logic when you are picking your customers. Short-term gains are attractive. But in a hiring decision, you’re looking for long-term value. Just like in hiring, involve people who provide more value than they extract. This goes for everything you do in your business. And in order for it to work, it has to feel reciprocal. The customer has to feel the same way about you in return. 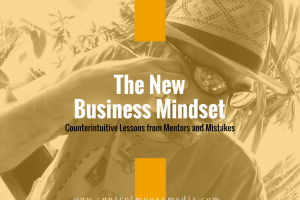 When you are providing consistent value with content marketing, you are already in the right mindset. Now that you’ve hand-picked the right customers, it’s time to “lean in” and make them feel like they are a part of what you do. Don’t wait to get your customers involved. If you can, start before there’s even a product or service to sell. If the customer has no effect on product development, you’ll probably get the product wrong. Now, I would never suggest that you hand over control of the product to your customers. That’s our job as product managers and business owners. But you do need to involve them early on so that you actually build the product they want. Keep this in mind as you gather feedback and make decisions about your business. It’s worth it to make your customers feel like they are a part of the process. 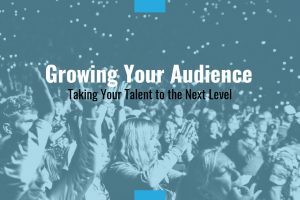 Not only will they help you make the product better, but they are also the very beginning of your core audience. You’re going to be able to convert these folks to early adopters. If you handle this right, these folks will become your best sales reps. They will find and convert leads for you – and they’ll do it for free. What’s more, they will do it better and more effectively than you or any of your sales reps can. The right customers, treated the right way, can make it to the last stage of the customer journey – loyalty. There’s nothing better than a loyal customer. They’re the ones who will pre-order your next product, or contribute recurring revenue to the business. They’ll stick with you when you slip up or make a mistake. They may even defend you against detractors. Some of these loyal customers may even become brand advocates. This is widely regarded as the holy grail of marketing – customers who create more customers for you. But there’s a catch. In order for their advocacy to be effective, it has to be given willingly, without payment or incentives of any kind. Start with a story – and understand why they share your story. Social media is the natural place for this, since it’s built for sharing. But in order to activate this dynamic, we have to create a conversation, back and forth. We have to relinquish some control to our advocates. We have to stop promoting and start connecting – asking questions, showing interest, displaying empathy, and actually listening. To go further, read Brand Advocates: Turning Enthusiastic Customers into a Powerful Marketing Force by Rob Fuggetta (affiliate link). 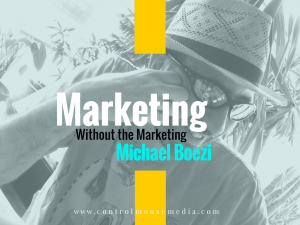 He makes a data-backed case for how “word of mouth” marketing is way more effective than traditional “awareness” marketing – and, more importantly, strategies for how to implement it. 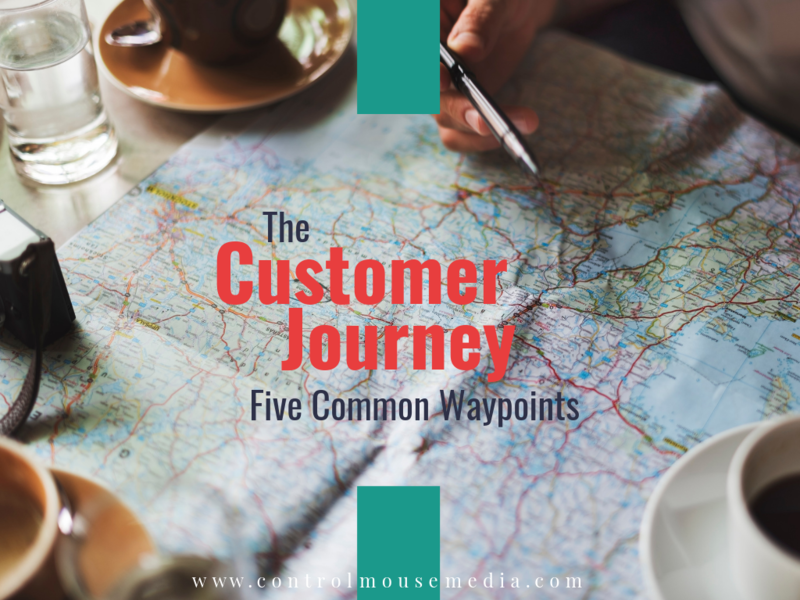 Just because your advocates have “finished” the customer journey doesn’t mean that the process is over. 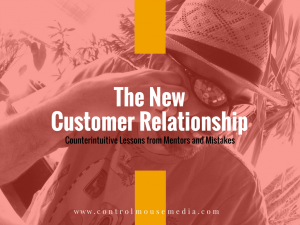 It’s a cycle that begins with each new customer that you bring into the fold. Starting over each time, you evaluate them, involve them, and again – some of them will advance. Some of them will not. As we produce more and more content, this process can atrophy. Fail points can start to surface, and the cycle can start to break down. It’s worth a gut check from time to time – to try to view your business from your customers’ point of view. I have developed a couple role-playing exercises to help you with this. 1. How do you behave as a customer? What’s your evaluation process for a new product or service? Looking at your own process can offer some insight into how your “offer” looks to your prospective customers. In working with clients – and in my own business – I find that a regular reminder about empathy for the customer is a good idea. 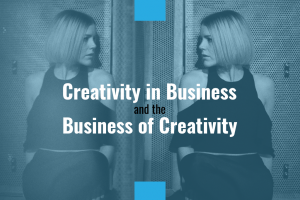 It’s easy to get caught up in your own business, from your side of the table. But what’s going on in the customer’s mind? Where are they in the buying process? Can you see their experience through their eyes? A good exercise is to turn the table around and suppose that YOU are your own customer. Yes, it’s hard to be objective about your own website and your own content. But it’s still worthwhile. Listen to this episode to guide you through this exercise. 2. How does your business look a customer? If you are having trouble being objective, let me be your customer. If you’ll indulge me, I’ll play the role of One Tough Customer. I’ll purposely be hard on you, laying out all my entire process for evaluating you and your business. It may be hard to hear at points, but it may give you a different lens into your business. Today’s consumers are a lot more savvy, and have access to a lot more information about you. Before a purchase, they’re going to research you, read reviews, and ask their friends about you. They’re going to make determinations about you before you even get to state your case. It’s worth taking an honest look at your business and what it looks like through the eyes of today’s customer. 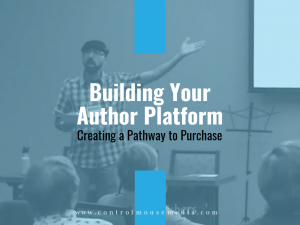 Building your platform is the single most important thing you can do for your business as an author. In fact, it’s almost impossible to achieve any measurable success without it. This mini-course helps you set up all the elements of this pathway: Website, blog, social, email, and online store. Photo credit: rawpixel on Unsplash. Used with permission under the terms of the Unsplash License. Changed from original: Cropped and added text overlays.